"Out in the desert, man, I just felt so free." Now, in Vegas, your sense of freedom is less to do with the mystique and magic of the wide desert skies, and more to do with being wasted all the time and walking from one casino to another without ever having to put down your drink, not to mention being able to buy beers and margarita slushies on the street corners. Add to that the fact that there isn't 'time' as it is traditionally understood in the outside world, and you do get into a heady sense of freedom from Vegas-in-the-desert. But Vegas notwithstanding, the southwest American desert is a powerful idea, which is romanticised beautifully, and can be a poignant thing for a lot of people. The Australian desert -- or 'outback' -- is far more hostile and unforgiving, and so isn't really romanticised in the same way. That huge expanse in the centre of our country tends to give rise to folklore (and truth) about psycho-killers waiting down otherwise-vacant tracks where your car is most likely to give out. And to a sense of sadness that the only people who really understood how to live out there, and who could truly tune-in to the mysticism of the outback's sacred places, had their culture, and its secrets, all but wiped out. Which I guess parallels with America's southwest too. 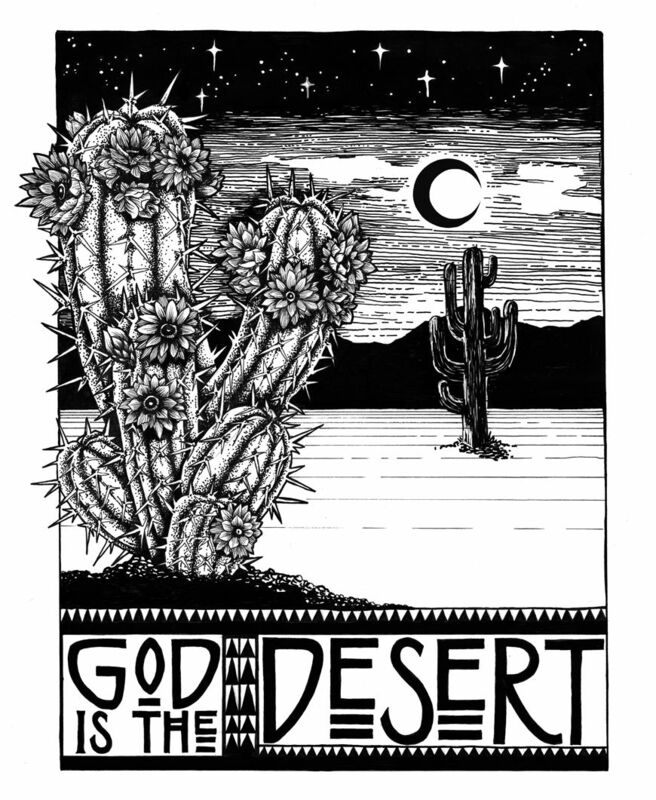 At any rate, I think deserts -- as potentially perilous and totally unknowable as they are -- connect with the human need for something divine and altogether more powerful than us. Like a representation of nature at her cruelest, mightiest, most menacing and most stoic, she's showing us God in the desert. And so, there you have the thousand words that the above picture represents.